Ringo Starr is getting ready to go on tour with another Ringo Starr’s All Starr band. They’re coming to Seattle in July. I will definitely be there. His shows are always a blast. He was doing a video shoot yesterday up in the Hollywood hills. 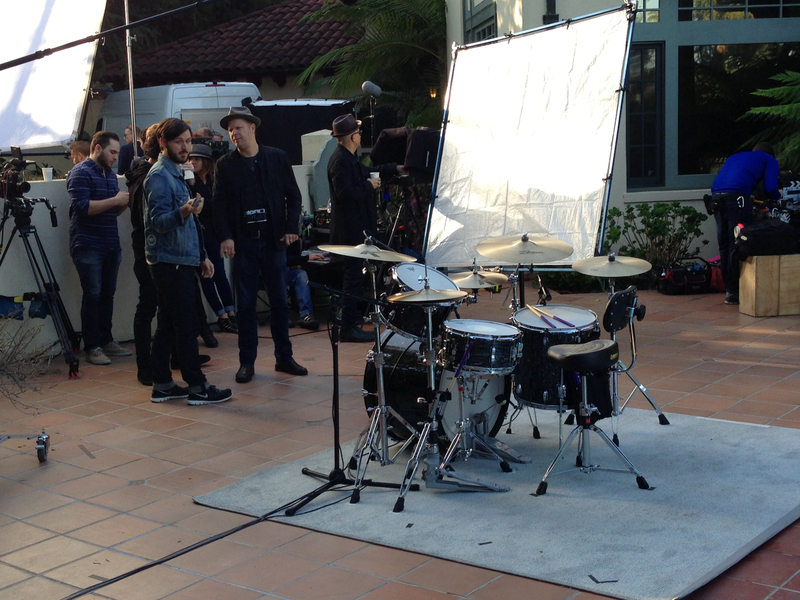 Here’s a shot of his drum kit. He has a new set of Ludwigs currently being made for the tour. I can’t tell you what the finish is other than it’s not a color I would expect from Ringo. I’ll put up a photo as soon as I get the OK.